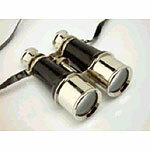 We have been in the manufacturing of a complete line of superb quality Binoculars. 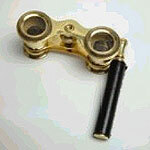 We are a well renowned name in manufacturing of Antique Binoculars. 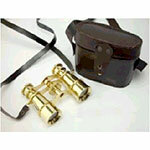 These brass antique Binoculars reproduction optical instruments are made using heavy solid brass tubes and fittings, and polished to a beautiful finish. We have more size in brass antique binoculars start from keychain,2 inch, 6 inch, 8inch with stand in different design like as, mob Binoculrs, leather, brown antique polish, nickel polish, Black antique. as per buyer provide logo we print & use secrecy policy. 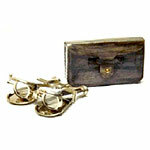 we also offer wooden box, leather box & eye catching Binoculars. We invite you to gain from the opportunity of getting reasonable prices from us and shop for the highest quality products.